As a car enthusiast, you know the value of being able to monitor your vehicle’s health at all times. OBD2 scanners are integral to this process, as they enable you to check in on what’s going on beneath the hood. While you could splurge and get a high-end scanner that comes with a vast array of features, most DIY people just need a simple scanner that says what’s wrong and how to fix it. Fortunately, this pocket scanner from Actron is the perfect accessory for your car. Not only that, but its small size means that you can bring it wherever you go. Since this is a compact scanner, it’s much easier to handle than other varieties. It has an ergonomic design that makes it easier to hold, and you should be able to keep it in your glove compartment at all times, meaning that it’s super convenient. While the screen on this device is relatively large (compared to its overall size) and it’s backlit, some users may have trouble reading everything it shows. While codes shouldn’t pose much of a problem, when live streaming your car’s data, that may be an issue for some people. Nonetheless, we like the way that this scanner looks and feels, especially when considering that it’s meant as a portable version of a standard OBD2 device. There is no wireless option for this scanner, so you do have to plug into your car’s OBD2 port. However, while wireless connections can be more convenient at times, we usually prefer an analog version instead. The benefit of having a hard line is that you don’t have to worry about connectivity issues, nor do you have to maintain a battery. As with other standard scanners, this model gets its power from the car. This means that you don’t have to change batteries or recharge the device when it’s not in use. Overall, these benefits show why having an analog connection can be preferable to Bluetooth. Another thing we like about the connectivity of this scanner is that it automatically detects your make and model. Thus, you don’t have to spend minutes scrolling through various options to find what you need. That being said, this system is not 100% infallible, so keep in mind that, in rare instances, it may show the wrong codes at first. Overall, this is what we would consider a “standard” OBD2 scanner. That means that it’s intended to do the basic functions of these scanners, which is to diagnose and clear check engine lights, as well as monitor emissions. If you live in an area where smog checks are required by law, then having this device will help you make sure that you’ll pass your next inspection. Not only will it show your emissions, but it will indicate whether your car is inspection ready. For most newer vehicles, this shouldn’t be a problem, but if your car is more than 10 years old, you’ll want to check up on it more regularly. One added feature of this scanner is live streaming. This capability means that you can see your vehicle’s performance in real-time, thanks to a graphical interface that highlights the various elements of your engine. Although most “standard” OBD2 scanners are only meant for check engine lights, this one can also monitor your brake system. This function is not available for all makes and models, so you’ll want to check the manual to see if your vehicle is covered. 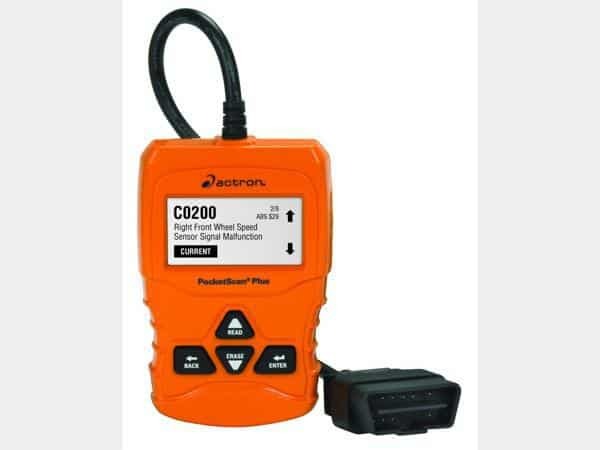 As far as standard OBD2 scanners go, this model from Actron is reliable, easy to use, and highly functional. 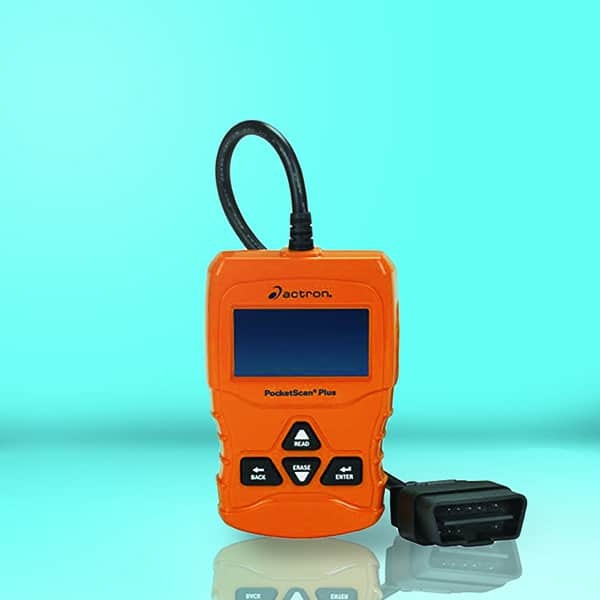 We recommend it for anyone who wants a cost-effective solution to auto diagnostics.